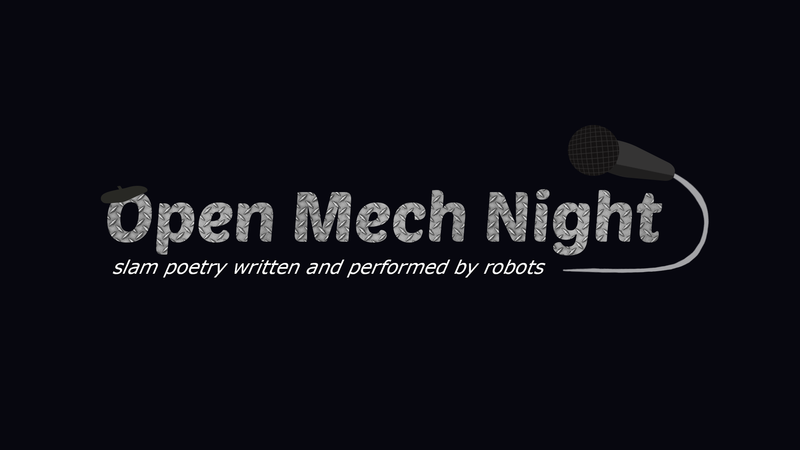 Open Mech Night is an interactive experience where you get to hear robot-written and robot-performed slam poetry. All of the poems you see in game are generated on the spot. 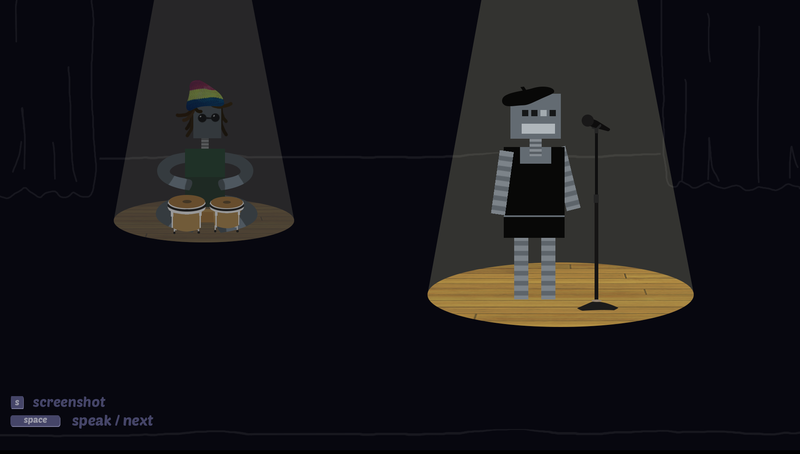 If you hear a poem that strikes you, press [S] to take a screenshot, and it will be stored in the "screenshots" directory. Post any you really love in the comments!